The most sought-after bullets among competitors on the Precision Rifle Series are now loaded into the industry’s most trusted factory rifle ammunition. Gold Medal® Berger® loads feature an advanced boat-tail bullet with a high ballistic coefficient to provide the flattest trajectories, less wind drift and surgical long-range accuracy. 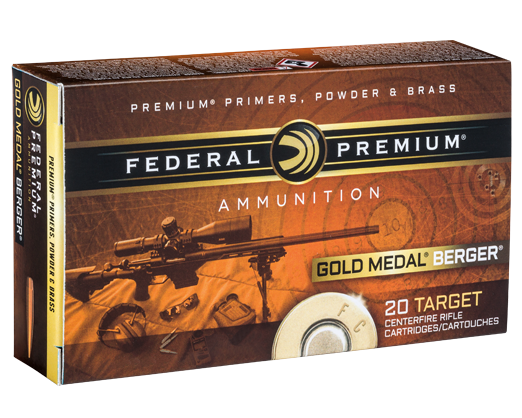 To get the most performance out of the bullet designs, these loads use Gold Medal match primers, Federal® brass and specially formulated propellant, and they adhere to Federal Premium’s strictest specifications for accuracy, pressure and velocity.